Posted on August 13, 2014 by admin Posted in Beef, Recipes	. 1. Cook beef, onion, bell pepper, corn, and jalapeno in a large skillet. 4. 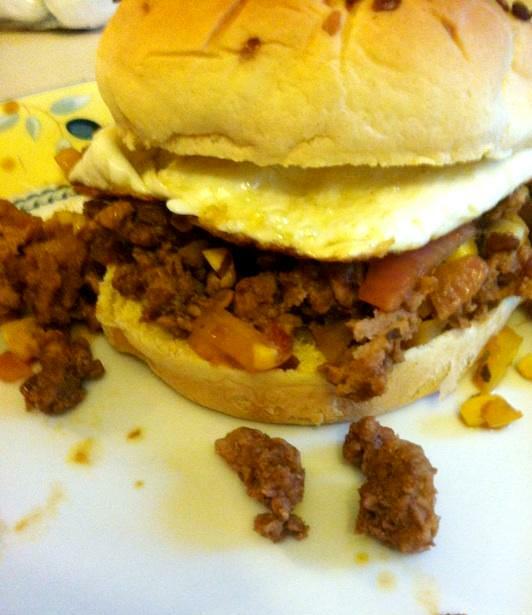 Serve the beef and vegetable mixture on toasted buns and top with a fried egg.